We are pleased to have a full time certified and state licensed Audiologist to help address all patient concerns involving hearing, tinnitus, vertigo, and general balance trouble. For those patients looking to protect their ears we offer a variety of specialized ear molds from hunters protection to swim molds. Custom impressions are made at the time you place your order to ensure the best fit and comfort. We also offer a complete line of digital hearing aids striving to meet all financial considerations and needs. Our audiologist has extensive experience with multiple hearing aid manufacturers and can answer any questions regarding new hearing aids for you or a loved one. She is also available to help with repairs and programming of older devices. 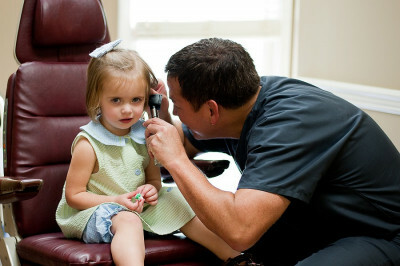 We are Birmingham's hearing aid specialists! Contact us to schedule an appointment today.